"Our family had a great time with Karen getting our photos taken. Karen had wonderful ideas for photos and was also happy to incorporate the photo ideas that my children had so that they felt included and valued. What a great afternoon of laughing and memories. The photos are absolutely stunning and I highly recommend Karen Stevenson as a family photographer. She really captured my children's unique personalities and wonderful smiles." -Corrina. "I recently had the privilege of having Karen Stevenson on our communications team on board our Medical Ship, the MV YWAM PNG. Karen volunteered with us on an 8-day outreach in remote villages in Papua New Guinea. During the outreach, Karen used her skills as a photographer to not only capture the medical work we were doing, but also the beauty and the hardships many Papua New Guineans face in rural, isolated areas. I've since used her photos in stories about patients we've treated, reports to both provincial and national health departments, our newsletters, and on our Facebook page (over 11,000 followers). Karen's photos have helped raise awareness, garner more support, and have brought others along on our journey. Having worked with a range of photographers at various skill levels, I'd recommend Karen for the quality of her photos, her creativity, commitment, and her passion to help give a voice to the voiceless". - Anna Scott, Public Relations Manager, YWAM Medical Ships - Australia. "Besides being a great friend to Bella Voce, Karen Stevenson is an excellent photographer. Bella Voce have asked Karen on a number of occasions to photograph concerts and photo shoots for promotional reasons and have always enjoyed her quality of work and excellence in skills.  Some of the excellent qualities in Karen's work are her attention to detail and her desire to create just the right photo for you or your family or group. As individual members of Bella Voce, both Alicia and Simone have engaged Photography by Karen Stevenson to shoot family portraits and both families were thrilled with the fantastic photos produced. Bella Voce would highly recommend Photography by Karen Stevenson for all your special moments and memories."